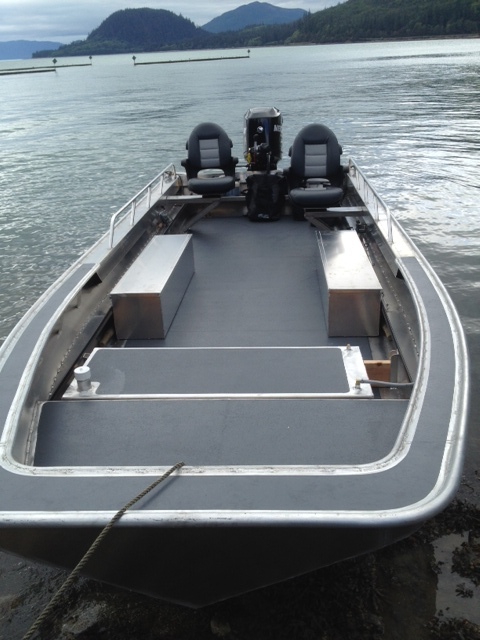 Boat specs: 1/8” aluminum with 5’ bottom, tunnel, ﻿self-bailing, two swivel seats, two storage lockers, epoxy nonskid painted forward and main decks, fuel tank. 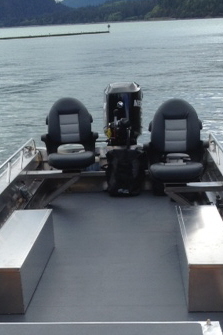 Contact the Bay Company in Wrangell for info and prices on trailer or motor: 907-874-3340, ask for David or Chet. 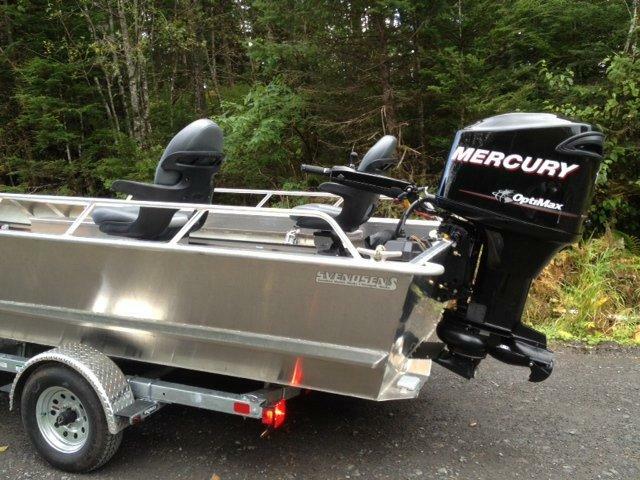 Mercury 110-hp jet, with tiller handle, power trim and tilt.